The grin marking my face as I have seen the red marked on my calendar, which means another long weekend for an extreme adventure. Yes, the Philippines celebrates the 119th anniversary of its independence last June 12, 2017. My friends and I decided to explore the Province of Biliran and climb the highest Mountain in Biliran. We likewise had a side trip to the cloistered Lake in Ormoc City, which is located in the Province of Leyte. To make sure that our adventure rhyme to the day the Independence day celebrated in the Philippines. We decided to make a group of adventure seekers and make a complete list of 12 adventurous people. Yes, you heard it really right, It is a group of 12 people. As the Independence day in the Philippines is celebrated every June 12 regardless of the year. It was actually planned 2 months before the actual adventure and we were so excited, especially me as this adventure will mark my first Major Climb. The planned was to climb the highest Mountain in Biliran, which is the Mt. Tres Marias, and explore the innate beauty of Sambawan Island. And a side trip to the cloistered beauty of Lake Danao in Ormoc. It is actually a Summit to the Sea and to lake, kind of adventure. The whole adventure owned a different variety of nature trip, which makes it really exciting for all of us. Sending my inner thoughts and peacefully bridging it to my untypical reaction has given me excitement the minute I read the itinerary that was given to me 2 days prior to our trek to Mt. Tres Marias, which happens to be my first major ascent. I never guessed that we could drop by at the stunning beauty of Ulan-Ulan falls. During my first visit in Biliran, I was supposed to check this waterfall, but due to time constraints, I wasn’t able to see it. Truly, a perfect time has come to collide with my long lost desire to flirt with the innate beauty of Ulan-Ulan falls. Enjoying the cold and fine cloudy water droplets of Ulan-Ulan Falls while gazing to its natural beauty. From the drop off area where we get to register for our trek going to Mt. Tres Marias. I can’t conceal my happiness and excitement as it is limpidly shown on my face without bothering to ask. Apart from being excited to reach the summit of Mt. Tres Marias, I can’t wait to see the astonishing waterfalls along the way. Ulan-Ulan Falls is derived from the Visayan dialect which means “rain“. The sturdy force of the falling waters over the wall shape rocks which creates a cold mist will surely give you a natural touch. Ulan-Ulan falls is peacefully hiding in the lush scenery green forest of Sampao, Almeria, Biliran. Getting to this waterfall from the jump off area will take you around 30 minutes of smooth trek and provides you a beautiful scenery that would surely mollify you. The stream of water that flows in the mountain of Almeria is somehow creates and hides a mass of amazing waterfalls and an awesome spot for Canyoning and river trekking. 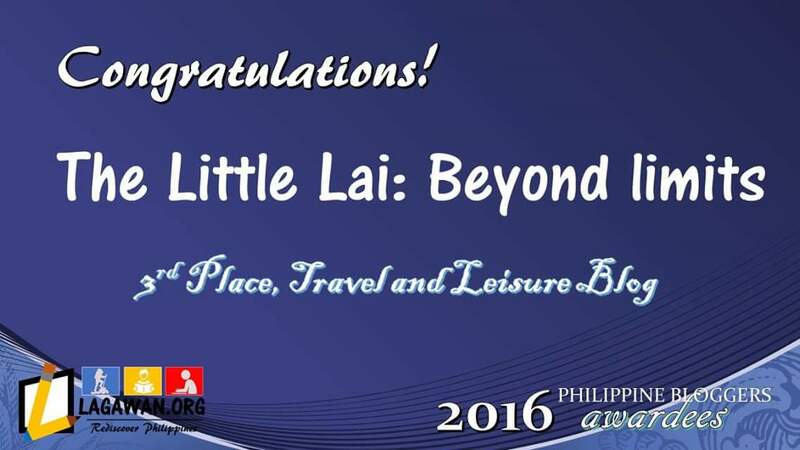 No wonder that Biliran is a home for a great adventure which will surely unlock your wanderlust soul. For the complete travel guide to this beautiful Falls, kindly check here. From where my feet stood, I have watched the partial view of Ulan-Ulan falls that seemed to be so shy cause of the green leaves that covers it from afar. I put my backpack down, and ran straight to the Falls and gazing at its innate beauty is what my natural reaction dictates. Truly, the name itself speaks, the cooling mist that peacefully arriving on my surface has rendered me a refreshing feeling. It brought back my colorful childhood memories, where I used to dance and play while the rain pours. I can’t seem to stop gazing at its beauty from its slender brink where the water started to go down and how it was naturally becoming wide before reaching the catching basin. The presence of green leaves where some of the water fell is what gets it like a painted picture hanging on the same wall shape rocks. It was simply beautiful and naturally captivating. For the complete travel guide to this beautiful Recoletos Falls, kindly check here. The arduous trek to Mt. Tres Marias while enjoying its stunning innate view. The Mt. Tres Marias in Biliran is said to be the highest mountain on Biliran Island and the second highest mountain in Region VIII or in Eastern Visayas Region in the Philippines and one of the active volcanoes in the Philippines. It is next to Alto Peak, which is the highest mountain in the Eastern Visayas Region. The name was derived from the three peaks that comprise the stack. Our guide told us that we can explore the three peaks for 3-4 days, but only few people who have explored the three peaks. What most trekkers have done is to reach the 3rd and the highest pinnacle among the three which stands around 1,315 MASL. Right after enjoying the innate beauty of Ulan-Ulan and Recoletos Falls we then prepared for our trek to the summit of Mt. Tres Marias. Our foremost goal is to reach the lunch area so we can have our lunch. The track leading to the lunch area is not really that steep, but along the way, I felt like the trail is starting to divulge its backbreaking nature. A true training of what patience and perseverance is what I’m trying to espouse. The action is being learned to fully understand both is what I’m trying to bear in mind while I continue traipsing my feet on the trail. I was hungry and my trail food has helped to mollify my famished stomach until I got to the lunch area. Our guide pointed his finger while telling us, that’s where we can have our lunch break. I was grinning from ear to ear as I heard him completely uttering the whole sentence. Near the river and on the flattened rock while listening to the gurgling sound of the river while having our lunch was what made our lunch time romantic. Genuinely, the plashing river soothed our jaded body. We rested after our lunch and I even tried to get a nap. A quick lunch and a quick rest as this is enough to continue on our trek to the camping site of Mt. Tres Marias which is our primary goal before the evening will arrive. Just before I started traipsing my feet to the assault track, I reminded myself that getting to the summit is my real destination. Then the strenuous trek has started, getting lost in the forest has made me to pant like a horse. I begin to feel my heavy backpack while my two little feet are struggling, but patiently moving upward. The umbrageous surrounding due to the lush scenery green forest has somehow given me a comforting touch. I’ve seen wild flowers, small insects, a lowly snake, unusual scenery and above all, seeing the whole forest like I owned whatever I see. It’s truly beyond compare and I started enjoying the trek. My tiring body slowly learning how to rhyme to the natural beauty of the virgin forest. I started capturing small, but beautiful objects whenever I get the chance. The trail becomes my closest ally and the scenery becomes my pacifier. Then the defining moment came, after our gallons of perspiration, a tiring body, unending stories and enjoying the forest views, we finally have reached the camping site around 4:30 PM with the whole team. We then had to prepare our food for our dinner to reward ourselves from the tiring trek. Shortly enough, we all gather in a lively camping set up while enjoying our luscious food. After our dinner, and as we have given enough time to repose. Our guide told us about the mysterious and a unique scenery that continues its never ending work in the darkness and can entirely be experienced at the camping site of Mt. Tres Marias. In the peaceful forest ground at the camping site is where the presence of fungi, and some own an enzyme that can be luminous. He asked us to turn off all our lights and check the natural luminous light that can be found around the camping site by going close to the huge trees. They were all beautiful and just amazing to gaze at. I feel like I was one of the casts of the Avatar movie that have felt the very unaccustomed scenery. We couldn’t stop throwing questions to our guide about what we have seen, he simply told us that maybe an expert could explain better. I truly bothered about what I have just seen until I fell into a deep sleep. The mountain breeze and the serenity I have experienced was what lulled me into a deep slumber. At 5:00 AM, everyone has woken up, we then prepared for our breakfast, had some hot coffee, and early breakfast, since we set out to climb the summit. As we depart from the camping site and starting to trek in the dense woodland. I felt like I was far from the normal world that I used to experience. The infinite stunning scenery of beautiful trees and a mossy forest is truly beyond comparison. You’ll be seeing millions of bryophyticplants characterized by a gametophyte which is a generation of a plant with an alteration of generations that begins with a haploidspore and produces gametes through mitotic divisions. It is indeed an unaccustomed scenery that won’t stop you to keep appreciating it and be amazed while trekking to the summit. After about 2 hours of trekking and overcoming the backbreaking trail from the camping site going to the summit, we had finally set foot on the summit. I actually didn’t recognize that we have reached the summit as I haven’t seen any clear spot where we get to see the overlooking view. As our guide told us that we are now on the summit, I handed him a blank face. What makes it funny as we compare our expectation to the reality is when the summit setting isn’t the usual summit that we used to see. In order for us to see the stunning view, we need to climb the unstable and movable trees which would make our whole body shake. There were actually a mass of trees that surround the summit and if you’re brave enough to climb, then you’ll get to see the stunning view from above. Truly, after viewing the astonishing summit view in a glimpse, the clouds started to fill the whole space of the view which makes the view became so shy and started hiding its beauty away from us. The steep track that we have encountered as we ascend to the summit is the same level of challenge as we moved down. We get to really be careful and make sure to really use our firm muscle leg to stave off the pressure while treading our feet on the steep track. Shortly enough, we have arrived at the camping site and we immediately had our early lunch, break camp in the fastest way as we can so we won’t get to the foot of Mt. Tres Marias in an evening time. We had our quick group picture before leaving the camping site, while holding the flag of the Philippines, as we celebrate the Philippines Independence day. For the complete travel guide of Mt. Tres Marias, kindly check here. Soon enough, the light from Sambawan Island seems to be shining like as if telling us that we are now so close to the island. Then we heard the wave kissing the coast and so our boat. One of the caretakers of the Island approach us while asking us about the space rental for the tent since most of us own a tent. He likewise told us about the price for the available rooms. Then we decided to simply get one room so we could have a good space to cook our dinner and breakfast on the following day. But most of us were just setting up a tent near the pebble coast of the Island. I was so happy that we bought some bread from the mainland at least we have something to nibble while waiting for our dinner at some of our friends were cooking for the dinner. I couldn’t wait to eat and douse myself into the turquoise water of Sambawan Island. It was already around 9:30 PM when we had our dinner. So basically, all of us were really hungry and as anticipated, all food that we have prepared could not run from our famished stomach. We make it to a point that our time on Sambawan Island won’t be precisely like a typical vacation on an Island. We all gather together near the pebble coast, have some drinks and have fun. We couldn’t halt some moments where we get laughed out loud because of the jokes and comic stuff. We genuinely have enjoyed and after we had our social, we also take the chance to dip into the turquoise water of Sambawan Island. It was past 1:00 AM before we decided to get out of the water and of course have our final wash before moving inside our tent and rest. In order for us to see the beautiful view of the sunrise. We get to ascend to the highest elevation of the Sambawan Island. While on our way to the top, the morning air was really relaxing and cold. It wasn’t that hard if you go up, but the stairs might challenge your legs and bones. Along with the highest elevation of Sambawan Island, there’s a watch tower built where we get the chance to see the panoramic view of the entire Island. It actually serves as a viewing deck to witness the beautiful sunrise and sunset in which I’ve seen both. Truly, it won’t exactly leave you speechless, but it will capture your heart. I have enjoyed the semi-curved beach view with the towering beautiful rock formations and covered with green grass where you get to watch them moving like as if dancing when the wind blows. The interconnecting stony islets that connect the two beautiful main Island is what makes Sambawan Island beautiful in its own right. On the highest elevation of Sambawan Island, there’s also a famous big rock that stands firmly while facing the panoramic vista. Many visitors and travelers will try to climb to the huge rock, but fails to make it. It really needs someone to assist you before you can make it to the top of the rock, unless if you are physically fit then you can definitely climb without someone’s help. We truly have enjoyed the morning and facing on the other side from the viewing deck, there’s also a huge rock and a beautiful view as a backdrop for your photos. Since, we were celebrating an Independence day that time, then the idea of waving the Philippines flag was simply perfect. For the complete travel guide to this beautiful Island, kindly check here. A side trip to Lake Danao Natural Park, which is the Ormoc City’s natural gem. As we made our way to the Lake Danao Natural Park. The weather suddenly changes as we get to the higher elevation. The cold wind hugging us tight, filling our longing to embrace the comforting Provincial breeze. The green fields along the highway has been unselfishly showing its natural beauty with us. It was truly a stunning natural landscape that we all have enjoyed while on our way to Lake Danao. We really have embraced the peaceful moment and the comforting cold breeze that we own while we were inside the Jeepney and has made us so relaxed. Then, we went closer to the entrance of the Lake, there were these stalls along the way where they are selling food, veggies, flowers, orchids and a lot more. And just adjacent to the lake, there is this natural pool as well, which is actually for little kids that love to swim since the Lake Danao is deep and not advisable for kids to swim. Truly, before entering to the sensational beauty of Lake Danao, you’ll get to mesmerize with all what you can see outside as these will surely interest you. There’s actually more to experience in Lake Danao and a lot of exciting water sports activities. Aside from fishing, swimming, boating that we have experienced during our visit. They also offer kayaking, paddle boarding and a lot more. Lake Danao Natural Park truly an awesome place to stay not just during summer, but anytime of the year. If you’re a nature lover like us, then definitely Lake Danao is really worth a visit. We may didn’t own a leisure time during our visit, but during our stay, we truly have enjoyed Lake Danao. It was very peaceful and a pure nature at its best. Our visit in the Lake Danao Natural Park was one of those travel journeys that came to be unexpected, but really amazing and worth it. It was nearly dark when leave Lake Danao and our Jeepney driver was waiting for us, cause we need to go back to Ormorc City. For the complete travel guide to this beautiful lake, kindly check here. Ambling around the peaceful and beautiful City of Ormoc at night. When we reach in Ormoc City, it was already dark, and ambling around the City was actually what we have made. We had our dinner then we began to stroll around the busy street of Ormoc City before going back to Cebu City. There are daily schedule of boat and fast craft trip from Cebu City to Ormoc City. You can take a fast craft for 2 hours or a boat via Roble Shipping Line and travel by night for 6 hours. The moment you arrived at the port area of Ormoc City, simply walk a little bit going to the outside of the port and you’ll be seeing Vans there or go to the Ormoc terminal and ride a V-hire that bound for Naval starting at 5:00 am. Travel time from Ormoc to Naval, Biliran is around 2 hours. There is no airport in Biliran Province and Ormoc City and the only nearby airport is in Tacloban City. Most Travelers from Luzon and Mindanao and other part of the Visayas are flying to Tacloban City to get to Biliran and Ormoc City. From Tacloban City to Biliran. From Tacloban Airport, ride a Jeepney to the downtown area, then ride a Grand Tours Van going to Naval, Biliran Proper, fare is around (Php 130.00), and travel time is around 2.5 hours. From Tacloban Airport, ride a jeepney to the downtown area, then ride a Grand Tours Van or any Van bound for Ormoc City. You can contact our very good guide who have been climbing Mt. Tres Marias countless times. His mobile number is + 63 915 569 2569. His name is Kyle Ryan. Just call him and tell him your trekking schedule so that he can fix up everything that you need. I advise you to have a good preparation before climbing up Mt. Tres Marias, to avoid physical problems along the way. Climbing Mt. Tres Marias is not easy for those who haven’t tried major mountain climbing, but very manageable. You’ll be visiting a lot of waterfalls along the way and swimming in the deep cold natural pool of the waterfalls is a must just be careful with wet rocks, for they are very slippery. There is no mobile signal from the jump off area and the whole time you trek up to the peak. Make sure your phone or camera is fully charged for picture purposes or bring a not so heavy Power bank. Wear your comfortable trekking shoes, clothes and everything that you need when trekking in the stack. Bring enough food, which includes trail food and always make sure to have a meal plan, particularly if you’re traveling with a group people. Bringing of drinking water is also advisable, but since going up to Mt. Tres Marias has a lot water source, then this won’t really be a burden. Always remember that your tent is where you take the chance to rest at night, so make sure to bring a sturdy mountaineering tent and a sleeping bag cause it might be really cold at night and at dawn. Bring a reliable head lamp for you need it at night and also a ground sheet for your tent. Be vigilant when walking on the trails, don’t hold on to any anything unless you make sure that it’s a safe one. Some of the plants are owning a needle tip, which would cause wounds when you hold it. Don’t also hold to any stick-looking object for it may a snake. Excellent detailed post as always ! 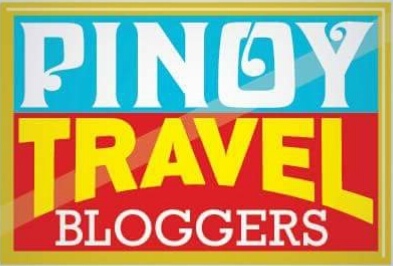 Another beautifully descriptive post about another Filipino destination I’m now dying to visit! The trek to the top of Mt. Tres Marias sounds absolutely amazing. What a wonderful stop along the way to Recoletos Falls. You’re braver than I am. That cold water often steers me away from the douse. Haha. As always, you’ve reminded me YET AGAIN how much I need to visit the Philippines! I actually jumped in my seat at work when I saw that centipede-like bug on the tree. They’re one of my biggest fears, but that one looked a bit more chilled out. Wow! What an incredible trip. The scenery is some of your photos in breathtaking and this sounded like an amazing experience. No wonder it took you so long to plan it. This is quite the adventure. The waterfall is stunning, but I really enjoy the stories behind the trek. From climbing that vine to finding a place to finally have lunch. The effort and will it takes to reach these beautiful locations are commendable. Camping out for 2 nights? That itself is just awesome! This is perhaps the best spirit to celebrate your country’s independence day!!! The sea is definitely a jaw dropping beauty! To witness sunrise here is heavenly! Ulan Ulan Falls are stunning, I’m not surprised you were excited to visit! I’m not a big trekker myself, so I would be more excited about the floating cottage on laka Danao – although your photos from the mountain are stunning. Such a vivid narrative again Lai! Loved it! Your journeys are filled with such gorgeous imagery, really gives me a sense of fernweh. There would be nothing I would love more than to wake up on the beach of Sambawan island to welcome a magnificent sunrise. This is a great guide. It makes me want to visit Sambawan Island for sure, the photos are so beautiful that I am compelled to go. I am not a big fan of hiking and camping, but it may be worth it for the scenery. The lake looks beautiful as well. The price information and guide contact is wonderful as it will really help when planning a trip to the Philippines. Great, informative content. This looks like an amazing place to hike. Loved the scenery all specially the waterfall and the top view from where you are sitting. The lace where you have pitched in the tents looks such a dense forest. Hope there are are no wild animals. Awesome details post! Thanks for sharing these new adventure plus many tips. I like your photos waving the Philippine flag. I love your blogs!!! They are so detailed and comprehensive and the best part is you describe it so perfectly and even provide the expenses 🙂 You give me major goals of visiting Philippines! 🙂 Loved the pictures as always! 🙂 Ulan-Ulan falls look so beautiful! This sounds like a great adventure! The Ullah Ullah falls are so refreshing and the trail running to Mount tres Marias looks like completely soaked in the beauty. The flora and fauna on the way are so colourful. A well described post like always and great pictures too. Haven’t been to Ormoc yet but you made me feel like I am right there at this moment! Thank you for the very thorough writing and storytelling! Love the Ula Ula Falls myself! Looks like I am going to do Mt. Tres Maria’s real soon after reading your blog. Thanks for the perfect itinerary. Wow! Ang lupit ng adventure mo. Your article was just a long read pero very informative. You also posted nice photos. Thanks for sharing your itinerary, would try that out someday. Wow, it sounds so cool. Wonderful place as well. 12 is a great number to share such a nice adventure in such a great place. Really nice. That was one great adventure. You bring out the best of Philippines to all of us ! I loved the trek, Sambawan Island and Lake Danao. Thanks for sharing ! Wow, this trip is packed! You’ve done a lot yet you didn’t spend that much. Impressive. I love that there’s even a camping involved and the waterfalls, so beautiful! That weird looking creature with a body that looks like the back of a scorpion is cute. Never seen anything like it before. What an incredible trip. The scenery is breathtaking and your trek is an amazing experience. That red creepy crawly scared me a bit, I am sure you must have encountered many. The clouds engulfing the scene was a bit disappointing. And I simply loved the idea of flating cottage. Hoping to experience one. Absolutely breathtaking. Staying in the forests for 2 nights is not easy! Awesome, that you pulled it off. Exploring virgin forests are always just too awesome to describe in words or photos. I’m sure what you felt at that place was several times more fascinating when compared to your description & photos. Gorgeous nature and amazing landscapes!